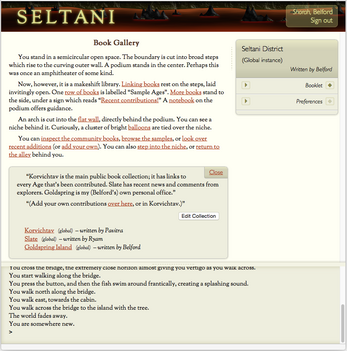 Seltani is an online, shared, text-based, open-source fan project based on the Myst series of games. 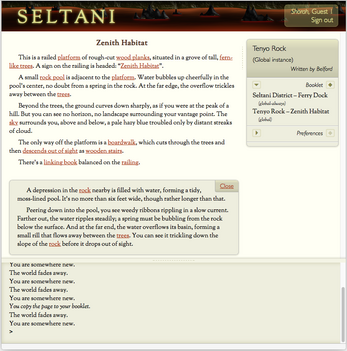 In this environment, players can create and share explorable worlds. 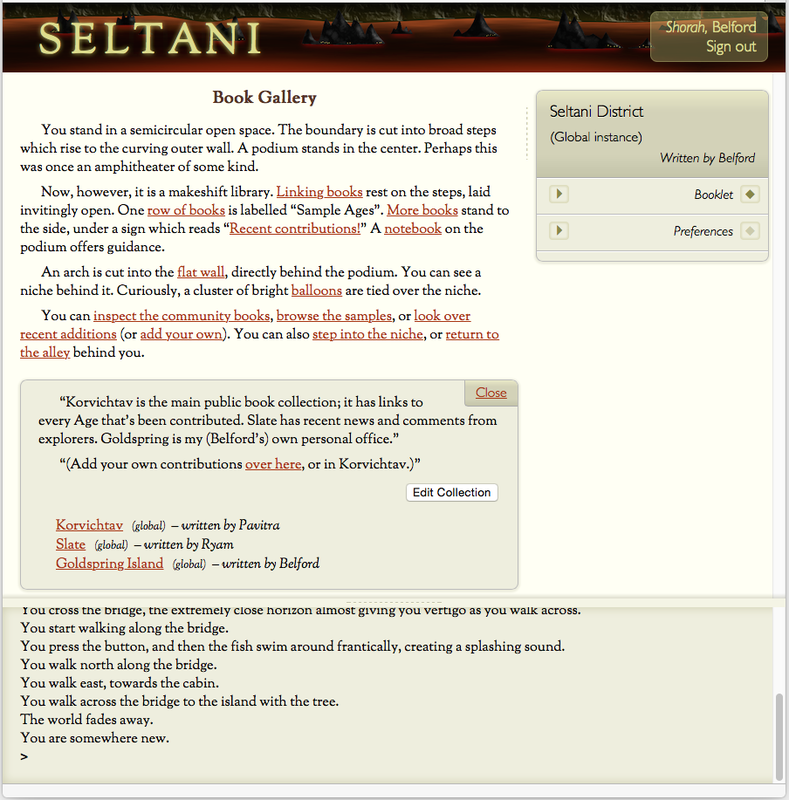 You can think of Seltani as a modern take on MUDs (and MUSHes, etc). 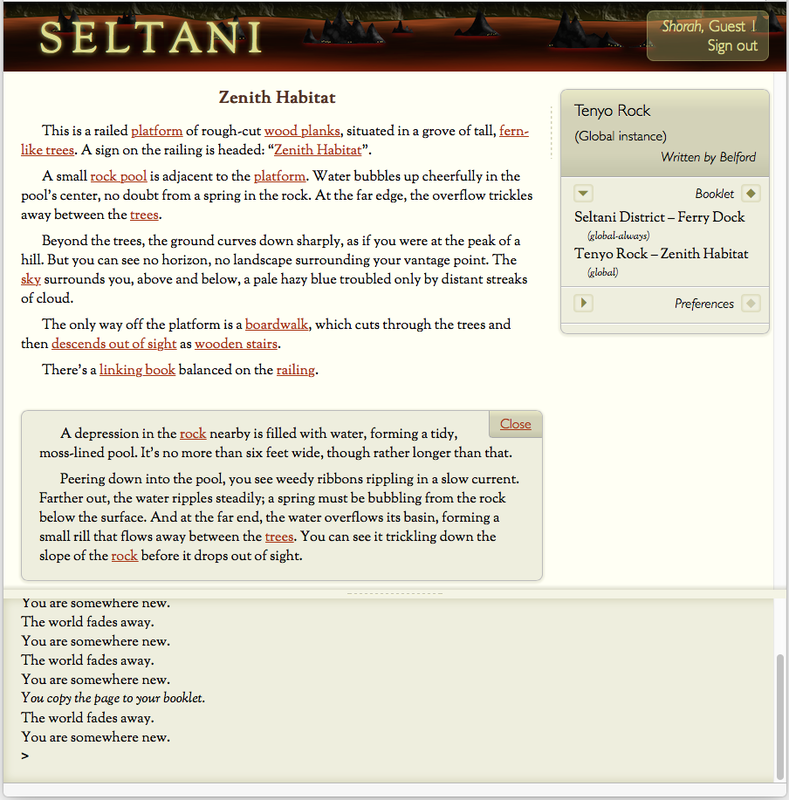 Instead of an old-style command prompt, you explore by clicking links in a hypertext world. (You still have MUD-style text chat, of course.) 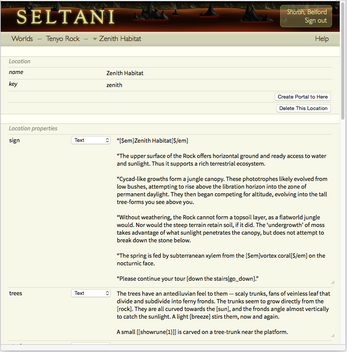 You build new worlds using a wiki-like markup system. 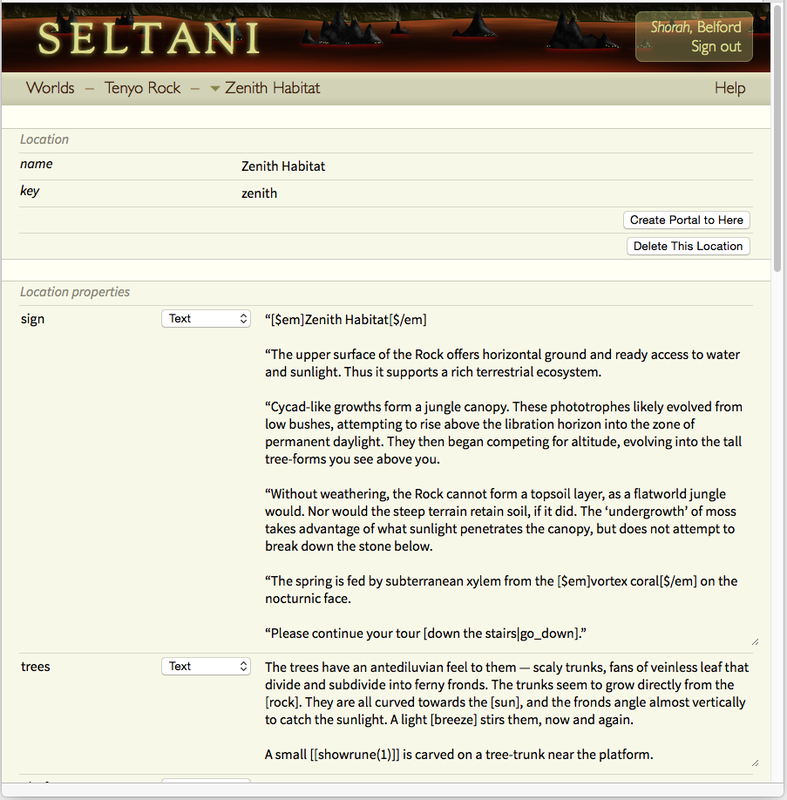 You can also think of Seltani as a massively multiplayer Twine game (although it uses a different engine based on Python). Or you could think of it as an all-text Myst Online. You can register a (free) account or explore as a guest. Guests can explore, collect linking pages, and chat, but you must register in order to build. In the Information Booth, start by taking a booklet. (Click the link.) 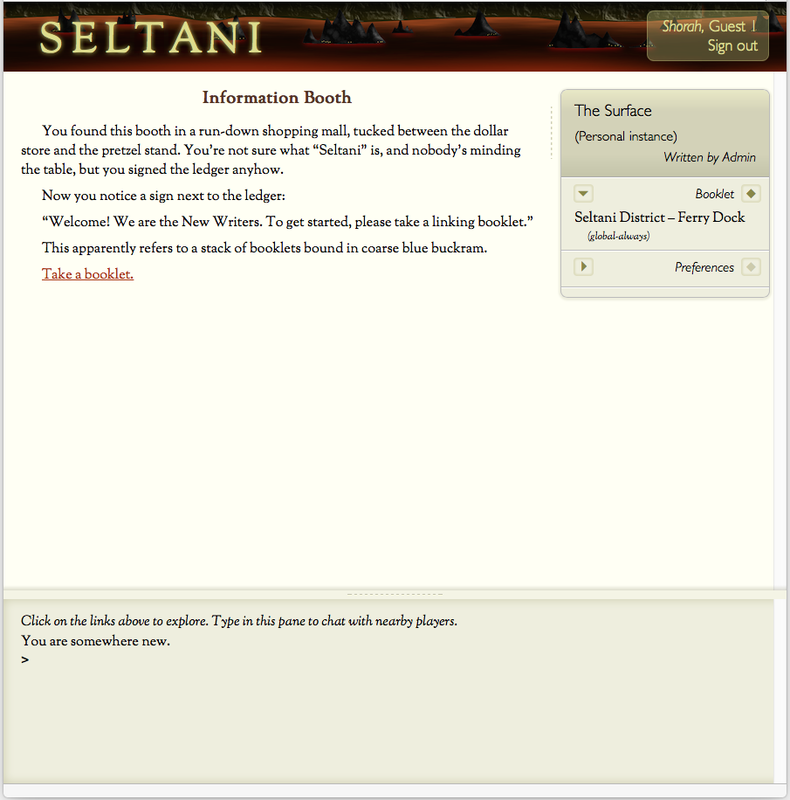 You can then step into the changing room to set your (text) avatar description and pronouns. Your location is always described in the top pane. 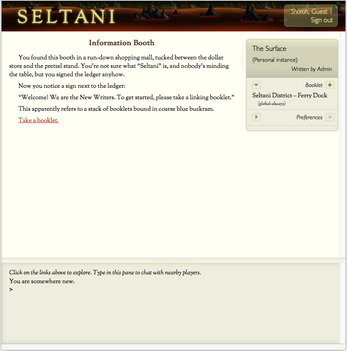 Close-up descriptions appear in a pop-up center pane. The bottom pane is a timeline of events and chat messages. The right-hand column is your linking booklet. When you find a linking book, you can copy the link into a page of your booklet. In this way, your collection of worlds will grow. Some worlds are shared; some are private; some can be explored either way. 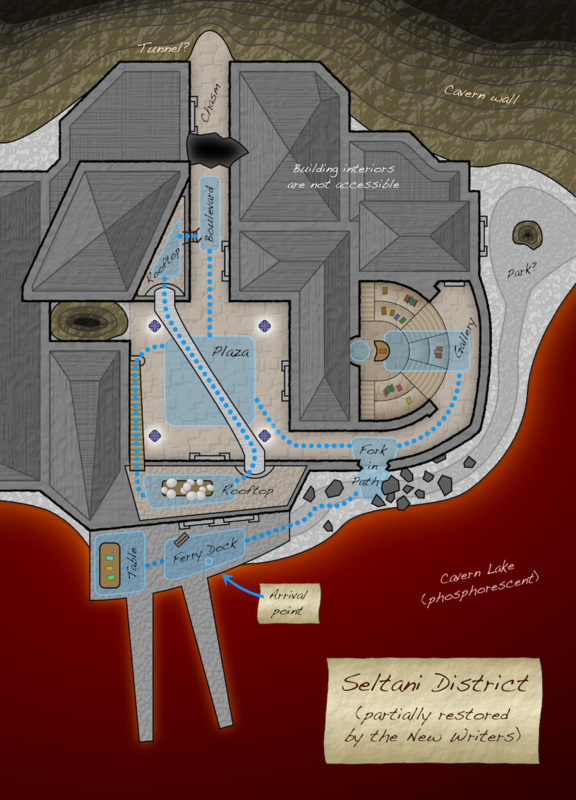 Start by exploring the Seltani District, which acts as a starting hub. 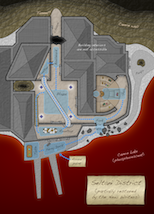 You will find links to more worlds and collections of worlds. Some are puzzles, some are just for exploration.